Let's cut to the chase: I'm racing the Tour Divide this year. Or rather, I'm going to attempt the Tour Divide this year. A year and a half ago I'd been planning on doing the Tour Divide in 2015. Then I decided not to. And that was that. I though my whole Tour Divide dream was over. But then something happened I hadn't anticipated. Without that dream, that goal, pulling me forward, I started to spiral down into an emotional slump. 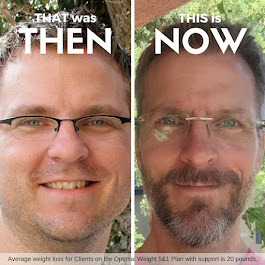 With my mental and emotional state in decline, my physical health soon followed. I was a sedentary, chronic grump. It was not pretty. Ask my wife. So in February or March of 2015, I decided to get back on the horse. I assembled a training plan (I'm too cheap to hire a full-time coach at this point), and started training in earnest last summer. Training has gone well, and although I have't hit all my goals, I've made some serious gains. Bike and gear are sorted, maps pored over, and logistics studied ad nauseam. I think I'm ready. Or as ready as I can be as a TD Rookie. Okay, there is one last appointment with an orthopedist to check out this thing with my knee, but it's more for curiosity than to suss out an actual problem (fingers crossed), so I don't anticipate any real snag there. We'll see. I deliberately didn't blog about my preparations this time around, 'cause what if I bail again? Why humiliate myself. Again. At this point, though, the plane ticket is paid for, and I've got a reservation at the Y in Banff. All that's left is to taper, pack up the bike, and show up. Yes, June 10 is race day. I fly to Calgary on the 8th. I'll post details about how you can follow along once the race is underway, if you're so inclined. So yeah, getting down to the last minute. Starting to get nervous now. Is this really happening? Yes, yes it is. Tour Divide Tracker is Live!